Even though I think Wake Forest is one of the best places on earth to work, Mondays are still Mondays. So I admit I was dragging a bit when I got to the office, and then when I picked up my mail, I was instantly happy. Why, you ask? Picking up this little postcard in my mailbox reminded me of all the Awesome that is to come in a month. Project Pumpkin is the one of the largest (if not the largest) volunteer events on campus. It is sponsored by the Volunteer Service Corps and brings 1,000 local children to campus where students provide a safe environment for trick-or-treating, carnival games, clowns, and entertainment. 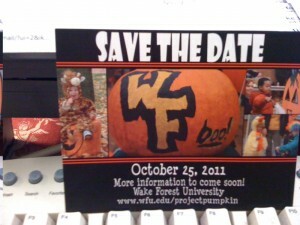 This year, Project Pumpkin will be held on the afternoon of October 25th, 2011. The students go all out for Project Pumpkin. 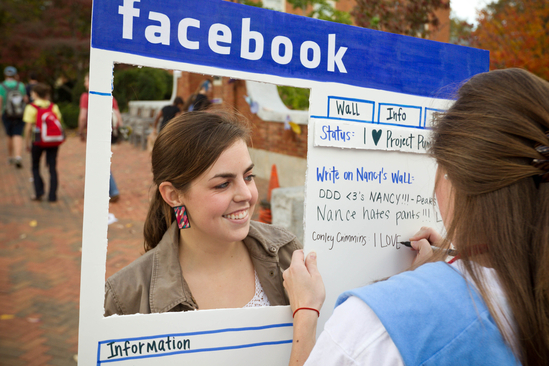 They dress in costumes – some quite imaginative and elaborate; my favorite from last year was the girl who dressed as Facebook – work game tables, lead children in groups to trick or treat, and more. For faculty and staff like me who have little kids, we bring our kids to campus to enjoy the fun. See some past photos here. It really is one of the greatest days on campus. Everyone is lighthearted and feels carefree, people are doing good things for these lovely kids (who are all so excited) and the students see their faculty and staff with their own kids, casting them in a different light students have not seen before. All this by way of saying – your students should get involved! And there are so many different volunteer opportunities – from the Candy Committee to the Decorations Committee to Face Painting and Transportation – students can look online and sign up for the committees that interest them. 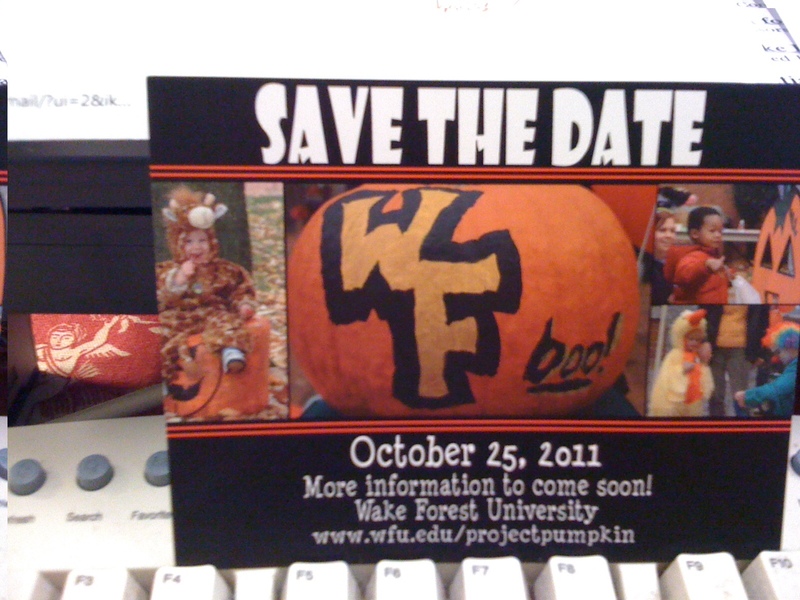 Other than m0ve in day and commencement, I would argue that Project Pumpkin is the third best day on campus. It’s that good.